Product prices and availability are accurate as of 2019-04-24 05:41:49 UTC and are subject to change. Any price and availability information displayed on http://www.amazon.co.uk/ at the time of purchase will apply to the purchase of this product. 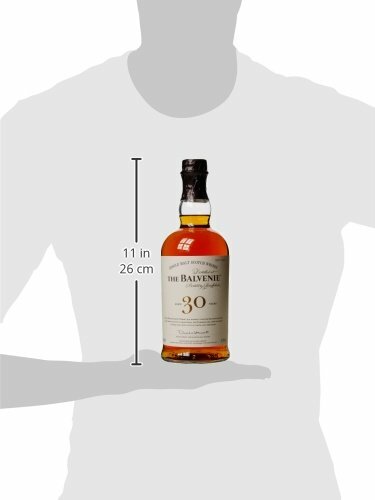 The Single Malt Whiskey Store are happy to offer the brilliant Balvenie 30 Year Old Scotch Whisky, 70 cl. With so many available today, it is wise to have a brand you can trust. 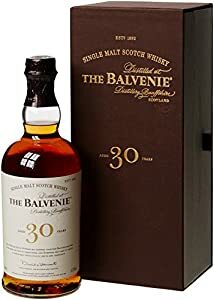 The Balvenie 30 Year Old Scotch Whisky, 70 cl is certainly that and will be a excellent purchase. For this great price, the Balvenie 30 Year Old Scotch Whisky, 70 cl is widely respected and is always a popular choice with many people. Balvenie have provided some excellent touches and this means great value for money. Awarded a gold medal at the 2005 International Wine & Spirit Competition. David Stewart, The Balvenie Malt Master has selected only from the finest vintage casks that were laid down during his early time at The Balvenie over thirty years ago. David's long experience in maturation has enabled him to create this rare and especially fine thirty year old single malt Scotch whisky. By marrying The Balvenie slowly aged in traditional Oak casks and also in Oloroso Sherry Butts, David has created a rich, mellow Scotch whisky with unusual depth and complexity. The traditional Oak - previously used to mature Bourbon - imbues warm honeyed tones, intense floral sweetness and distinct notes of vanilla, whereas The Balvenie matured in Sherry Wood displays a rich depth of colour, a dry oakiness and even greater refinement. The product of a lifetime's work, 'Thirty' has been bottled at natural strength to capture all the signature characteristics of The Balvenie. "This is one of the finest malt whiskies that I have tasted." 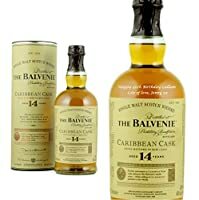 "Fantastic whisky, has a typical Balvenie character but a nutty sweetness, long and beautiful." Silky smooth and honeyed on the nose with mellow oaky tones and hints of candied orange peel. The Balvenie Thirty has great depth with rich dark chocolate, hints of plum, marzipan and caramelised pear. An exceptionally smooth and warming finish with gentle spice and lingering sweetness. The Balvenie Thirty is a rare and especially fine single malt for which David Stewart selects only exceptional casks. Slowly aged in traditional oak whisky casks this is a rich and mellow Scotch whisky. Rich, mellow Scotch whisky with unusual depth and complexity. Bottled at 47.3% abv to capture all the signature characteristics.